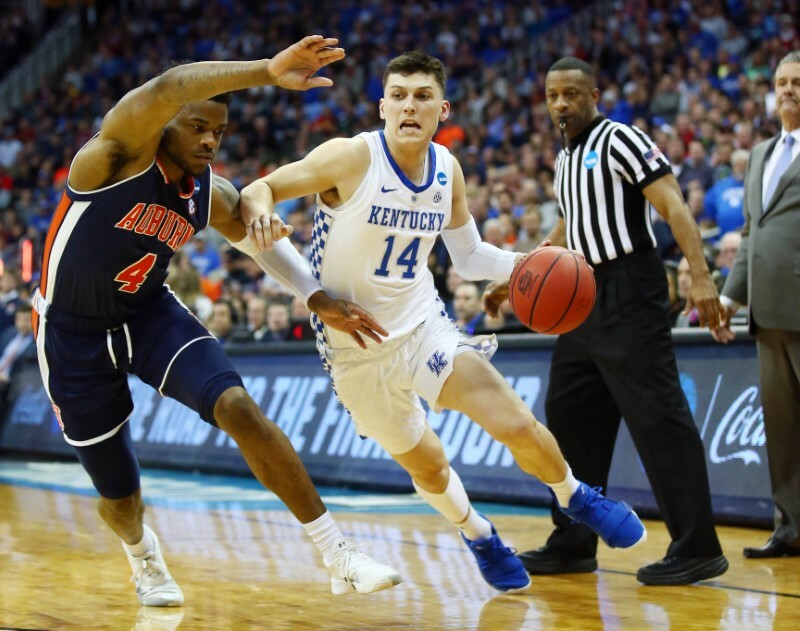 Kentucky freshman guard Tyler Herro on Friday announced his intention to declare for the NBA draft but left his options open for a return to the school. Herro averaged 14.0 points in the 2018-19 season, second on the Wildcats. He led the team with 60 made 3-pointers, while shooting 93.5 percent from the free throw line, a Kentucky single-season record. He led the Wildcats with 32.6 minutes per game. — Duke freshman Cam Reddish became the team’s second young star to declare for the draft, joining RJ Barrett. Reddish averaged 13.5 points, 3.7 rebounds and 1.9 assists in 36 games for Duke (32-6). “This season was epic, and I am so thankful to have had Duke as a part of the foundation that prepared me to play at the next level. Never forget – I am a Blue Devil for life. Proud to announce that I will be entering the 2019 NBA Draft,” the 6-foot-8 forward posted on Instagram. Meanwhile, Blue Devils superstar Zion Williamson, the likely top overall pick, has yet to make an official decision. — Big East Conference Player of the Year Markus Howard announced he is returning to Marquette for his senior season. Howard averaged 25.0 points, 3.9 rebounds and 3.9 assists for Marquette last season. Among his many highlights was scoring a Big East record 53 points in an overtime victory over Creighton on Jan. 9. — Kansas guard Devon Dotson said he has filed the paperwork to enter the draft but could return to the Jayhawks. He made his announcement on Twitter. In his one season at Kansas, Dotson averaged 12.3 points, 3.7 rebounds and 3.5 assists per game. — USC guard Kevin Porter Jr. hired an agent and said he will declare for the upcoming draft after he averaged 9.5 points and 4.0 rebounds per game for the Trojans. The 6-foot-6 Porter missed two months this season with a thigh injury. Porter, a product of Rainier Beach High School in South Seattle, Wash., will not turn 19 until May 4. 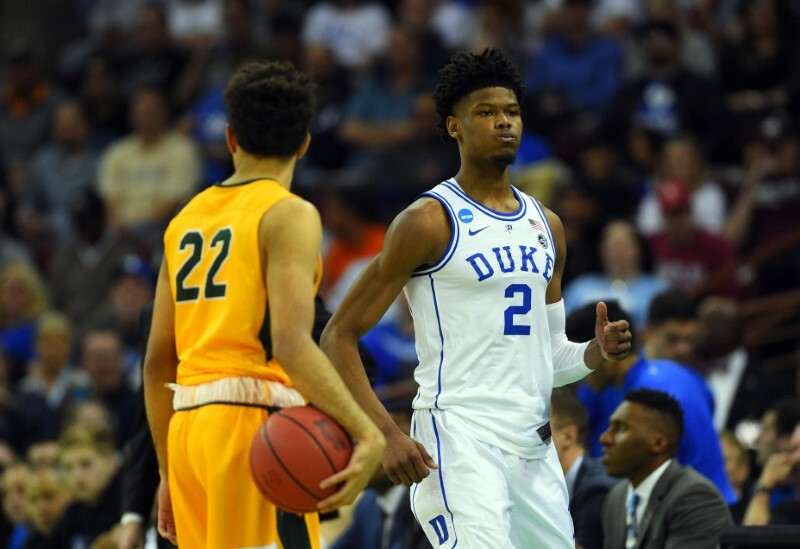 Duke freshman Cam Reddish became the team’s second young star to declare for the 2019 NBA Draft on Thursday. Teammate RJ Barrett declared his intentions on Wednesday and is projected as a top-three pick in the June 20 draft. Reddish averaged 13.5 points, 3.7 rebounds and 1.9 assists in 36 games for Duke (32-6) this season. The Blue Devils were eliminated after reaching the Elite Eight of the NCAA Tournament. As expected, Duke freshman star R.J. Barrett officially declared for the 2019 NBA Draft on Wednesday. –Kentucky freshman Keldon Johnson is entering the draft and hiring an agent, but he is leaving the door open to decide to return to school by the May 29 deadline. Johnson, a 6-6 guard, was third on the Wildcats in scoring (13.5 points per game) and rebounding (5.9 per game), earning SEC Freshman of the Year of the honors. –Arizona State guard Luguentz Dort, the Pac-12 Freshman of the Year, told ESPN he is “all-in” for the NBA draft. Dort, a burly 6-4 guard, averaged 16.1 points, 4.3 rebounds and 2.3 assists for the Sun Devils. He earned second-team All-Pac-12 honors and was on the league’s all-defensive team. He is ranked No. 27 among ESPN’s list of top draft prospects. 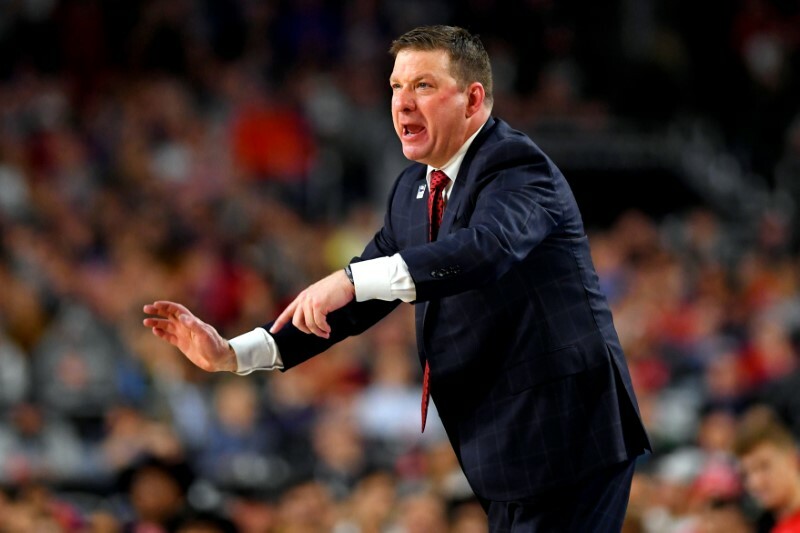 –Ohio State sophomore forward Kaleb Wesson will go through the draft process, coach Chris Holtmann said. Wesson averaged team highs with 14.6 points and 6.9 rebounds on the 2018-19 season. 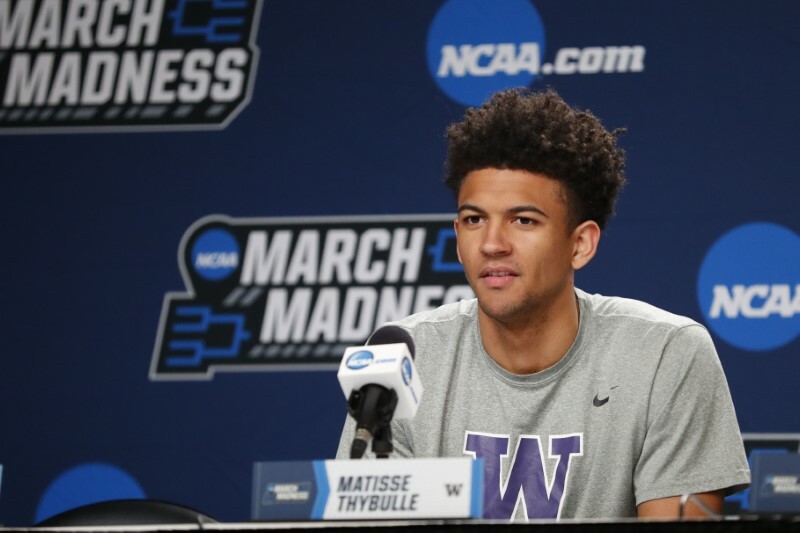 Washington senior guard Matisse Thybulle was named winner of the Naismith Defensive Player of the Year Award, the Atlanta Tipoff Club announced Sunday during a press conference in Minneapolis. Thybulle posted a Pac-12 record 126 steals (California’s Jason Kidd set the previous mark in 1992-93) and blocked 83 shots this season. He also set the Pac-12 career mark of 331 steals, surpassing the record held by Oregon State’s Gary Payton (1986-90). Thybulle was chosen over Gonzaga junior forward Brandon Clarke, Virginia sophomore guard De’Andre Hunter and Duke freshman forward Zion Williamson. “To win the Naismith Defensive Player of the Year award means the world to me,” Thybulle said in a statement. “I’ve put in the hard work day in and day out, and I have to credit my teammates because they have always had my back both on and off the court. I was only able to accomplish this because of them. Washington went 27-9 this season and made the NCAA Tournament for the first time since 2011. Thybulle averaged 9.1 points in addition to his defensive exploits. His 186 career blocks are tied with Christian Welp (1983-87) for the school mark. Jevon Carter of West Virginia won the inaugural national defensive award last season. 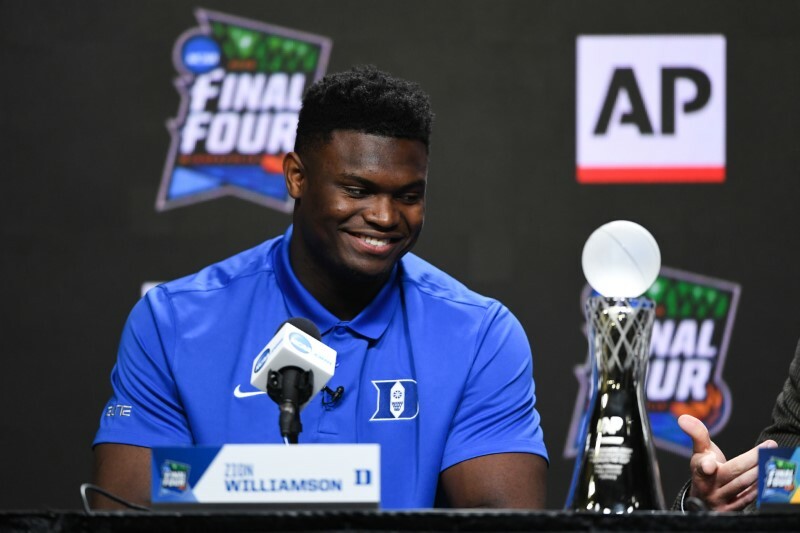 Duke forward Zion Williamson continued his collection of accolades on Sunday when he won the 2019 Citizen Naismith Trophy as the top college basketball in the country, the Atlanta Tipoff Club announced during a press conference in Minneapolis. Williamson is the third freshman to win the honor, joining Kevin Durant of Texas in 2007 and Anthony Davis of Kentucky in 2012. The other three finalists were Gonzaga junior forward Rui Hachimura, Tennessee junior forward Grant Williams and Murray State sophomore point guard Ja Morant. Williamson won the Oscar Robertson Trophy and Associated Press Player of the Year honors on Friday. He also was the Atlantic Coast Conference Player of the Year. Williamson averaged 22.6 points, 8.9 rebounds, 2.1 assists and 1.8 blocks per game. Williamson is the eighth Duke player to win the prestigious award. Williamson led Duke to a 32-6 record. The Blue Devils advanced to the Elite Eight, where they lost to Michigan State. 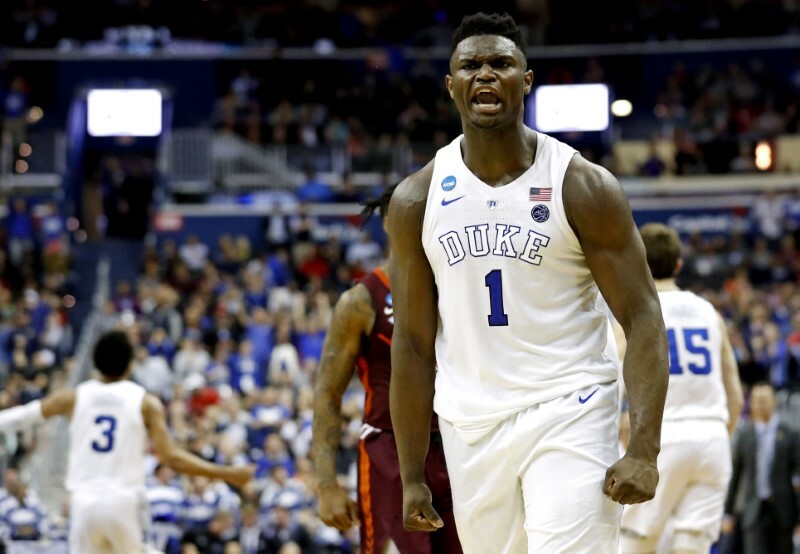 “Zion is absolutely deserving of this year’s Citizen Naismith Trophy. He handled himself with such class and humility this season, especially given what he accomplished, both individually and with his team,” Duke coach Mike Krzyzewski said in a statement. 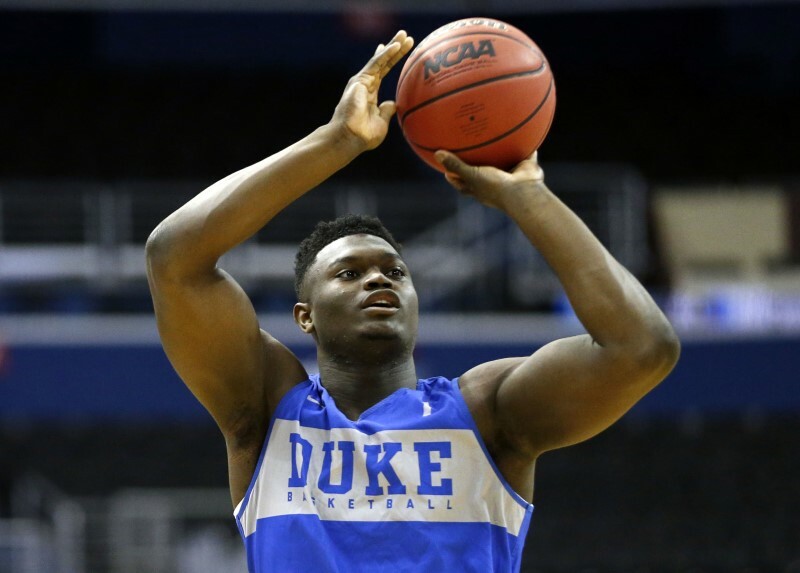 “Zion is a great representative of the game and is a pleasure to coach. Duke’s most recent Naismith winner was JJ Redick in 2006. The other Blue Devils to earn the honor are Jason Williams (2002), Shane Battier (2001), Elton Brand (1999), Christian Laettner (1992), Danny Ferry (1989) and Johnny Dawkins (1986). Williamson is expected to declare for the NBA draft and is projected to be the No. 1 overall pick. MINNEAPOLIS — A first-time college basketball national champion will emerge when Texas Tech and Virginia square off Monday in the NCAA Tournament national championship game. “Texas Tech, their defense, I mean, they took like nine, 10 charges against us … their defense was probably the best I played against,” Williamson said. 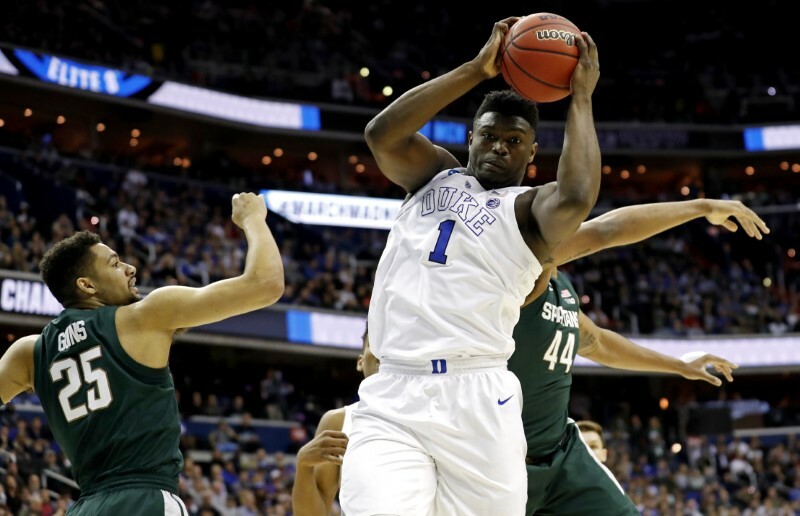 MINNEAPOLIS – Duke freshman Zion Williamson won the Oscar Robertson Trophy, presented to the 2018-19 U.S. Basketball Writers Association player of the year. Williamson is the eighth Blue Devil to win the trophy and the third freshman (Kentucky’s Anthony Davis, Texas’ Kevin Durant) to claim the honor. Robertson presented Williamson the bronze trophy, which portrays Robertson’s likeness, Friday at U.S. Bank Stadium in a press conference with Joe Mitch of the USBWA. Williamson was also presented with the AP national player of the year in another ceremony after receiving 59 of a possible 64 first-place votes. Robertson said Williamson’s footwork caught his attention watching him play this season. Williamson, who was also a unanimous selection to the 2019 college basketball All-America team on Tuesday, averaged 22.6 points, 8.9 rebounds, 2.1 assists and 1.8 blocks per game. Williamson is projected as the No. 1 overall pick in the 2019 NBA Draft. He laughed off suggestions that he wouldn’t play for certain NBA teams after an April 1 report from ESPN hinted he wouldn’t play for the Knicks. Williamson said he plans to enjoy college and will discuss his next step with his family. 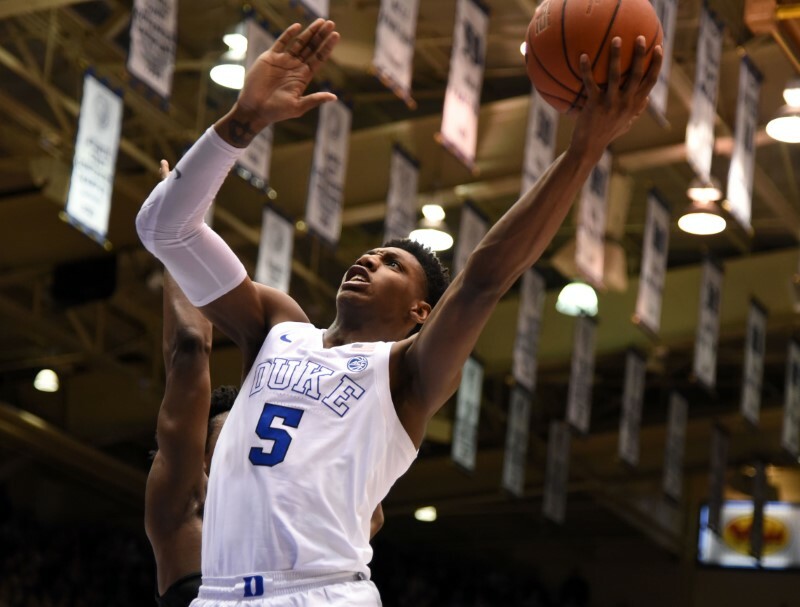 Williamson is the seventh Duke player to win AP player of the year honors. He is the third freshman to claim the AP award, with Davis and Durant again being the other two. 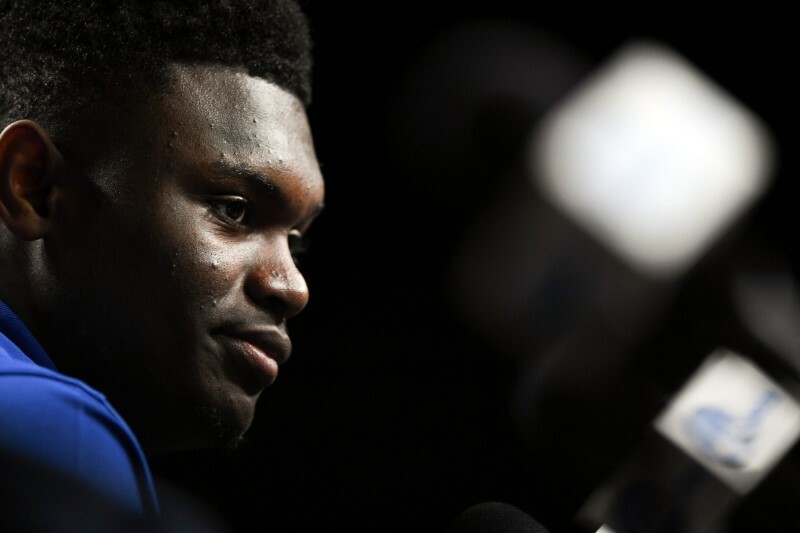 Duke freshman forward Zion Williamson was named the Associated Press Player of the Year on Friday. He received 59 of the possible 64 votes in winning the award. His 68 percent shooting from the field was second nationally. Williamson is projected as the No. 1 overall pick in the 2019 NBA Draft, though he has yet to officially commit to going pro. The Blue Devils lost to Michigan State in the Elite Eight, despite being the overall top seed.